Let's look at the name game uniqueness of the California shaking. 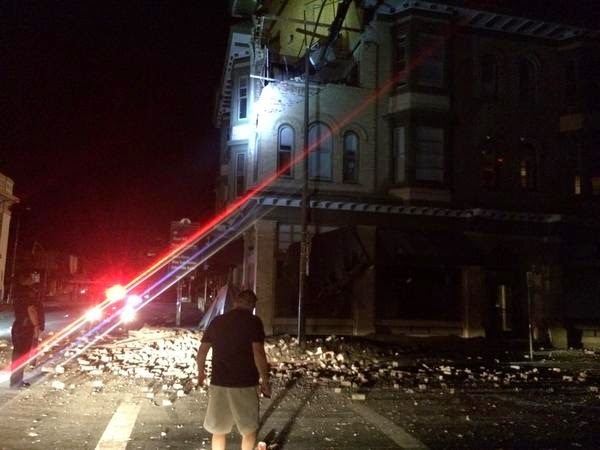 The morning earthquake injured dozens of people, two of them seriously, damaging historic buildings, setting some homes on fire and causing power outages around the picturesque town of Napa, first thought to be centered below a town named American Canyon. 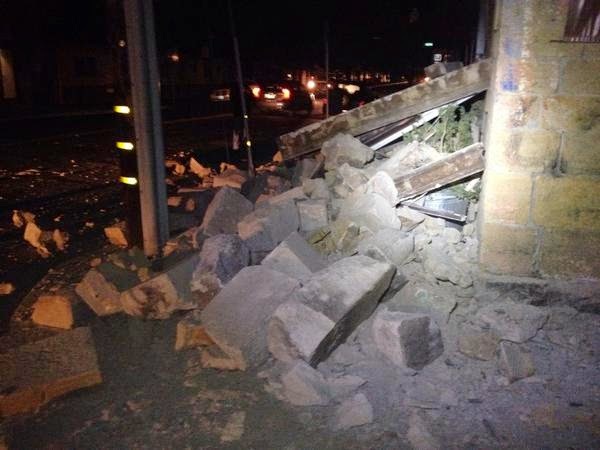 One hospital reported 70 people showed up with earthquake-related injuries. 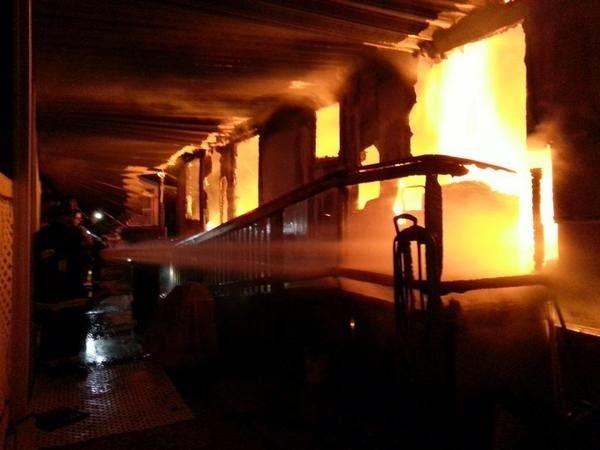 Overall, 170 people were said to be injured, with no deaths reported (source). 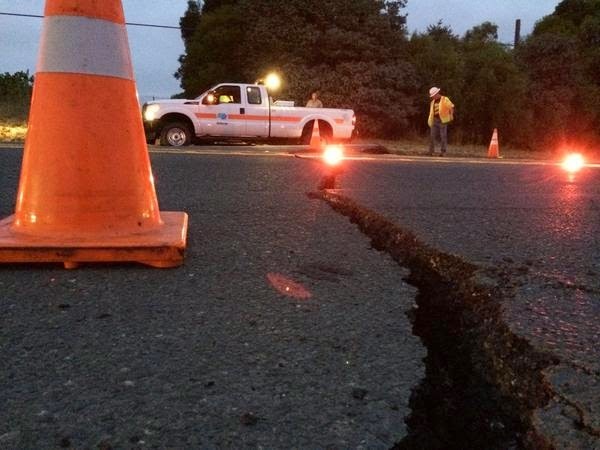 The biggest quake in the region in 25 years jolted many residents out of bed when it hit at 3:20 a.m. local time (1020 GMT), in the Napa Valley of California. Enki King emailed me: "I just took a look at Google Maps. 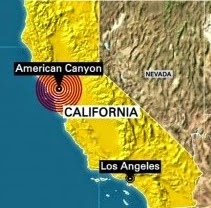 Poseidon's Vineyard is a little less than a mile north of the quake's epicenter (38°12'50.4"N 122°19'08.4"W)!" Poseidon, whose weapon of choice, is the trident, is the "God of the Sea," but also the "Earth-Shaker," the one who causes earthquakes. He is also called the "tamer of horses." 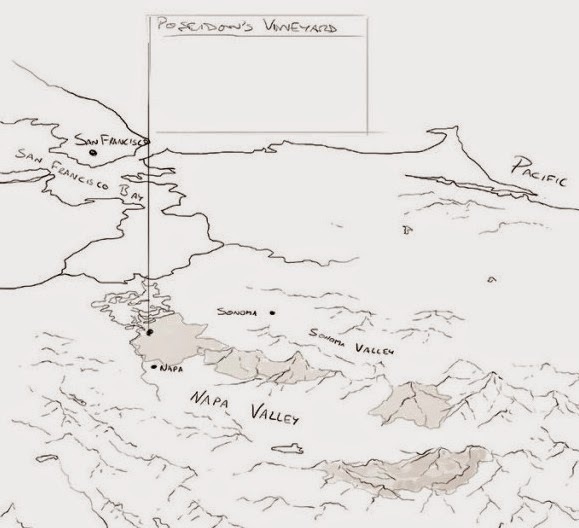 Furthermore, under eight miles away, is the Silver Trident Vineyard. 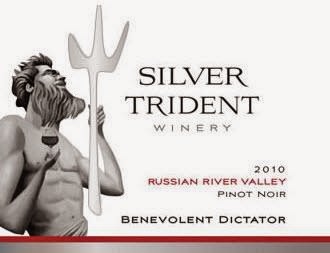 The Silver trident is at 110 Camino, Oruga Napa, CA 94558, and Posiedon's Vineyard or Posiedon Vineyard (it is given as both) is at 1100 Milton Rd, Napa, CA 94559. For a deeper discussion of the meanings associated with Poseiden's/Neptune's Trident, please see what over 20 thinkers have to say at the Twilight Language's "Synchromystic Symposium: The Meaning of Tridents." Bullseye. Amazing but not surprised. I just heard about the Napa earthquake. A 6.0. Wow! I immediately thought of you. Dang, man. The next time you call something, I'm staying home, in bed, the blankets up over my head! This, and you are now officially weird, and impressive. I figured it was going to be the volcano in Iceland. 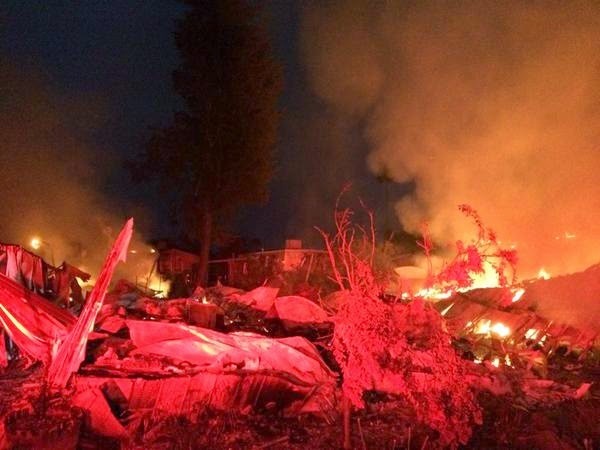 The photographs from the Napa Valley region are just coming in, and show the extent of the damage. The epicenter of the Chilean earthquake is Hacienda La Calera, 108 kilometers (67 miles) NW of Santiago, Chile. La Calera is a city with a population of about 50,000 people, in the Quillota Province of central Chile's fifth region of Valparaíso. La Calera's name comes from the production of quicklime (Spanish "cal") that is obtained from the processed limestone (Spanish: piedra caliza) (calcium carbonate), extracted from the hills at the south of the town, which were already exploited by the Chilean and Peruvian Natives for some 400 years previously. Therefore, La Calera means "quicklime mine". The estate of La Calera belonged to the Jesuits up to 1767. The turning point came in 1842, when it was acquired by Bolivian citizen Ildefonso Huici, who started industrialising it with local products. Today, among the important immigrant communities who settled in La Calera before 1950, Palestinians stand out, which makes this town with the largest proportion of Palestine people in Latin America. Tambo, Peru is a sparsely populated community in central Peru, about 467 kilometers (290 miles) SE of the capital of Lima. 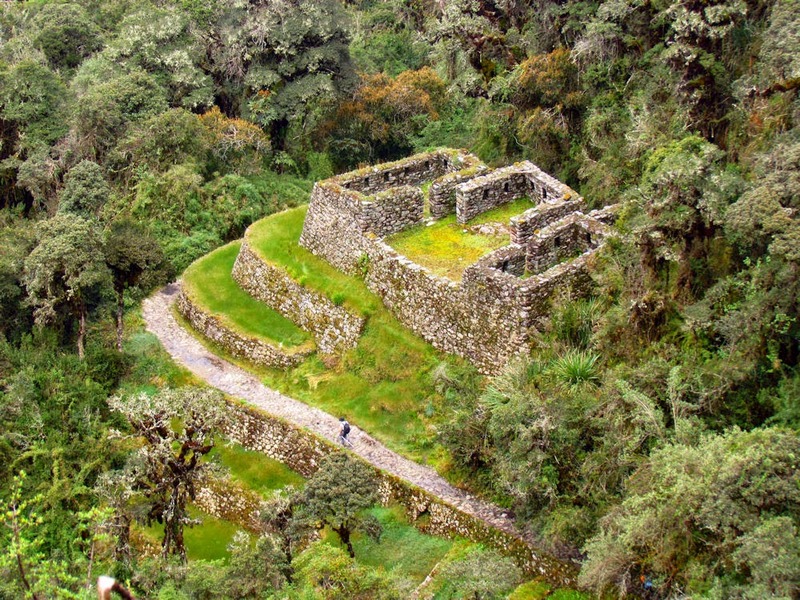 The word tambo (Quechua: tampu, "inn") refers to an Incan structure built for administrative and military purposes. Found along Incan roads, tambos typically carried supplies, served as lodging for itinerant state personnel, and were depositories of quipu-based accounting records. Pictured here is Qunchamarka tambo on the Inca Trail to Machu Picchu. 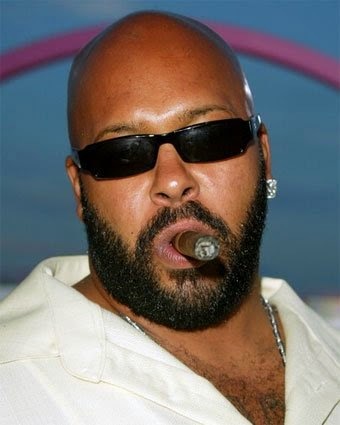 Meanwhile, Suge Knight, a founder of Death Row Records, was shot on August 24. 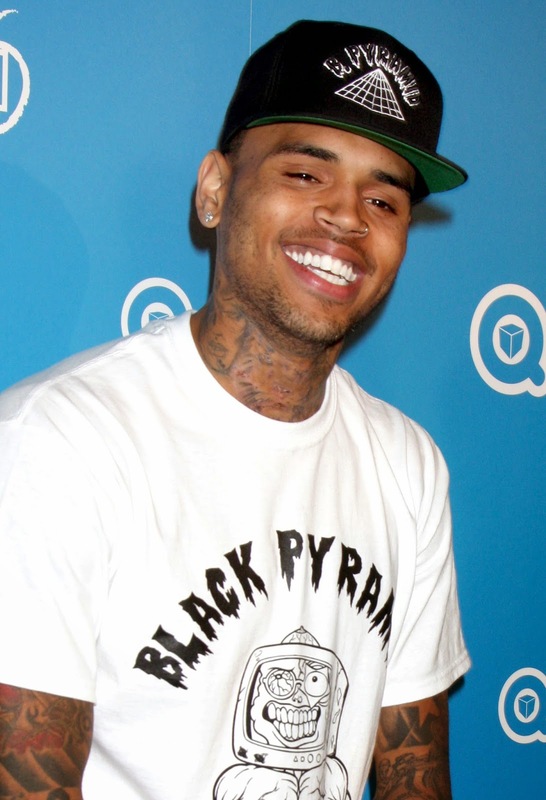 In this entertainment assassination attempt, Knight and two others were reportedly the victims of shots said to be aimed at Chris Brown and possibly Justin Bieber. Gunshots rang out at a pre-Video Music Awards party hosted by Chris Brown and singer Pia Mia in West Hollywood in the early morning hours on Sunday [August 24, 2014]. Shortly after 1:30 a.m. Sunday morning, a shooting occurred at 1OAK nightclub in the 9000 block of Sunset Boulevard in West Hollywood where two men and a woman were wounded, the Los Angeles Sheriff's Department said in a statement provided to the Daily News. The suspect remains unknown, but the victims include a 49-year-old male, widely reported as music producer Marion (Suge) Knight, as well as two unnamed victims, a 32-year-old male and a 19-year-old female. All the victims were transported to local hospitals and are expected to recover. Also, at noon on Sunday, August 24, 2014, "Jurassic Park's John Hammond, Richard Attenborough, 90, Dies." Stunning! as Todd said, right on target. 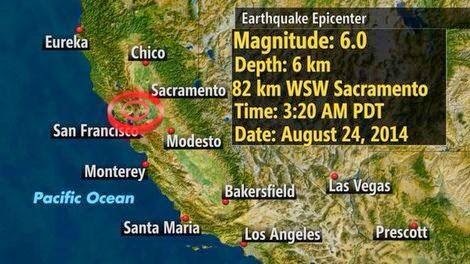 I wonder if there is any significance to the fact that it was "the wine country" that was targeted. Dionysus was the God of wine and the Christian Messiah was also strongly associated with the fermented fruit of the vine. Out here in Oklahoma, we've been rather perplexed by all the earthquakes we have been having. Just yesterday I told someone: "Just wait until there's a 6.0. Then that will get their attention." Wow! 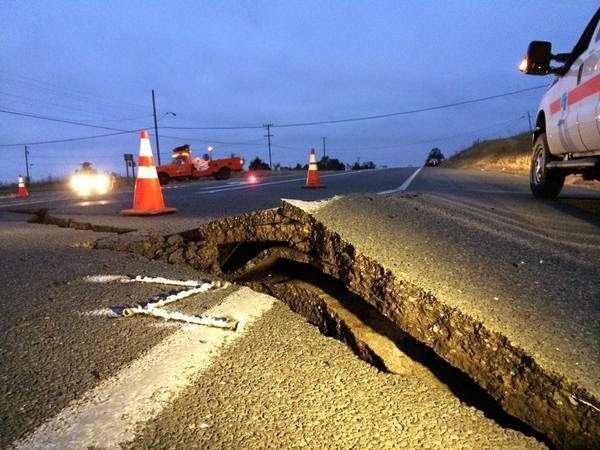 And the front page story in today's statewide newspaper, "experts" debate the cause of all the earthquakes we've been having - more than California has had in the past year. Earthquakes are definitely on the mind here in the Sooner State. Napa is very interesting. As I wrote, Isis was known as Isis-Sothis-Demeter in Rome and her consort was often known as Osiris-Dionysus, god of wine, the True Vine. The emperor Trajan depicted himself offering wine to Isis and Horus at Philae (familiar to longtime Secret Sun readers, making himself the third person of the Trinity). I should add that not only were earthquakes identified with Poseidon, they were also identified with Osiris-Dionysus' mortal enemy Set-Typhon, later identified with Satan who wielded - you guessed it- a trident. Note that the dominant motif on the MTV Music Video Awards tonight seems to be a stylized Black Sun. Tres Saturnian. Poseidon - "Tamer of horses". Let's note that 2014 is the year of the horse, Katy Perry Dark Horse, Phillip Seymour Hoffman (Phillip = friend of horse), Phillip Wood the only American on Flight 370. Unbelievable, undeniable stuff, 8/24 absolutely spot on. it also was the 25th anniversary of Voyager 2 rendezvous with Neptune and Triton back in 89. So that's a few more Poseidon,Trident hits from yesterday.